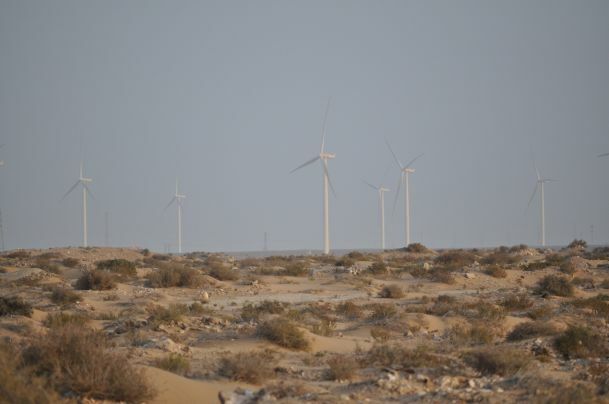 Here is the "phosphate windmill park"
There is little renewable in the operations of the Siemens run wind park in occupied Western Sahara. See the mills that supply the Moroccan illegal mining here, in partnership with the Moroccan king. 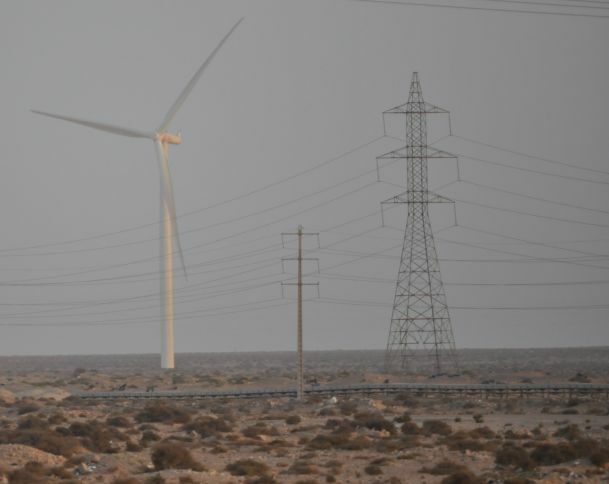 Western Sahara Resource Watch yesterday published the report “Powering the Plunder – What Morocco and Siemens are hiding at COP22, Marrakech", documenting how the alleged "sustainable energy" projects of Morocco and the German company Siemens in fact contribute to cementing the illegal occupation of Western Sahara. The project also creates increased profits on Morocco's illegal mining in the territory it occupies. Former UN Legal Counsel, Hans Corell, yesterday told Danish media that such an operation is in violation of international law and basic business principles. 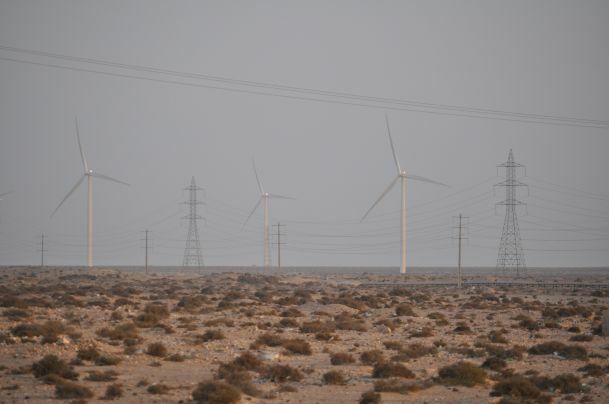 According to OCP, the Moroccan state-owned phosphate company which plunders the territory, 95% of the required energy is provided by windmills. These were built by German company Siemens, which refuses to answer questions as to whether it has sought the consent of the people of the territory. Siemens won the tender by partnering with a company of the Moroccan king. The mills are located right next to the phosphate production plant it is supplying with energy. The photographs below show even how the OCP conveyor belt that transports the rock from the depleting mine inland out to the Atlantic Ocean, cuts right through the windmill park. 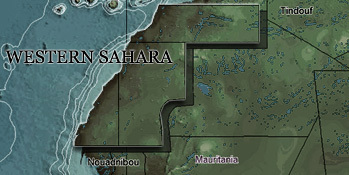 Morocco militarily invaded the territory of Western Sahara in 1975, forcing half the people to flee. Severe human rights violations are being committed against people who advocate for self-determination. Over 100 UN resolutions call for the Saharawi people's right to self-determination to be respected. Images below are free of use. Find high resolution version by clicking on each image.